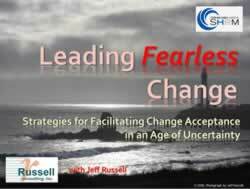 Developing Personal Resilience – Russell Consulting, Inc. 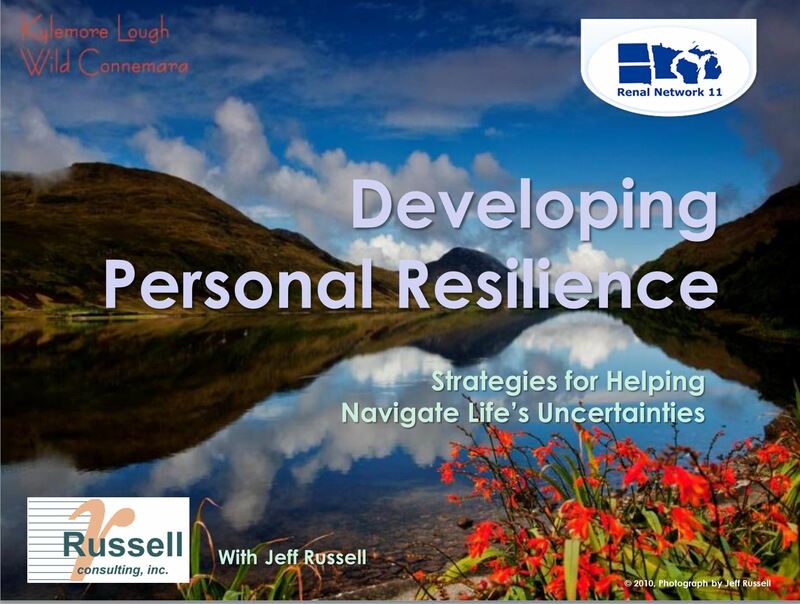 Developing Personal Resilience - Jeff presented his workshop on developing personal resilience at the 2015 Renal Network 11 Conference in Milwaukee. The session focused on the power of resilience and the characteristics that enable someone to be resilient. Click on the graphic above or here (Developing Personal Resilience) for a PDF version of the PowerPoint slides. Contact RCI for more information on our change management and resilience workshops. 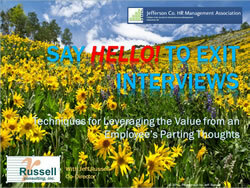 Say Hello to Exit Interviews!